(CAMBRIDGE, Mass.) – Researchers in the field of mechanobiology are revealing new insights into how the body’s physical forces and mechanics impact development, physiological health, and the prevention and treatment of disease. 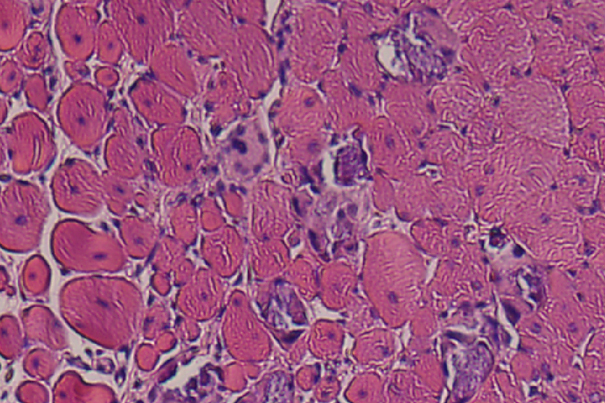 A new study from the Harvard John A. Paulson School of Engineering and Applied Sciences (SEAS) and the Wyss Institute for Biologically Inspired Engineering at Harvard University suggests that mechanically-driven therapies that promote skeletal muscle regeneration through direct physical stimulation could one day replace or enhance drug and cell-based regenerative treatments. The finding was published today in the journal Proceedings of the National Academy of Sciences. The multi-disciplinary team was led by Mooney and also included soft roboticist Conor Walsh, who is a Associate Professor of Mechanical and Biomedical Engineering at SEAS, founder of the Harvard Biodesign Lab, and Wyss Core Faculty member; and biomechanical engineer Georg Duda, who is a Wyss Associate Core Faculty member, vice-director of the Berlin-Brandenburg Center for Regenerative Therapies, and director of the Julius Wolff Institute for Biomechanics and Musculoskeletal Regeneration at Charité-Universitätsmedizin Berlin. 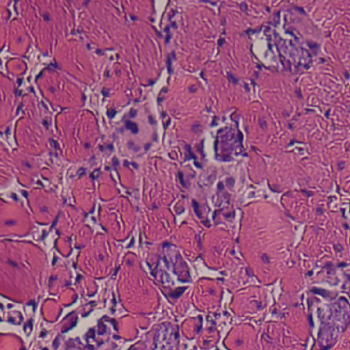 The researchers discovered that cyclic mechanical stimulation provided by both magnetized gel and robotic cuff resulted in a two-and-a-half-fold improvement in muscle regeneration and reduced tissue scarring over the course of two weeks, ultimately leading to regained muscle function, demonstrating that mechanical stimulation of muscle alone can foster regeneration. To their surprise, the ferrogel implant and pressurized cuff also resulted in very similar levels of regeneration, suggesting that the use of non-invasive pressurized cuffs or devices could one day help heal patients suffering from severe muscle injuries. The direct stimulation of muscle tissue increases the transport of oxygen, nutrients, fluids, and waste removal from the site of the injury, all vital components of muscle health and repair. And according to Mooney, translation of this research to the clinic in the form of a stimulatory device could be relatively rapid compared to drug or cell therapies. 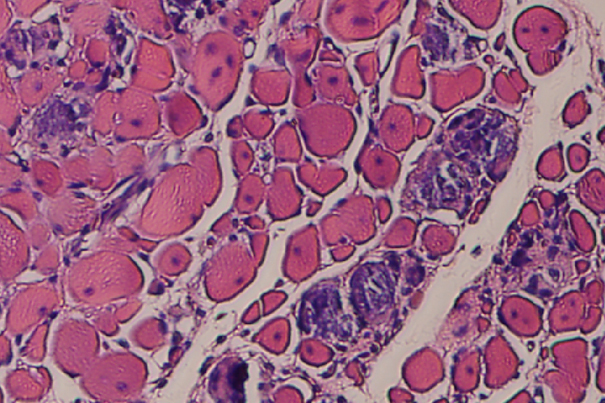 The principle of using mechanical stimulation to enhance regeneration or reduce formation of scarring or fibrosis could also be applied to a wide range of medical devices that interface mechanical components with body tissues. Currently, clinical devices are often plagued by the formation of thickened tissue capsules that form at the intersection of machine and man. In addition to Mooney, Walsh, Duda, and Cezar, the authors of the study included Ellen Roche, a former SEAS doctoral student who is now a Postdoctoral Research Fellow at the National University of Ireland, Galway; and Herman Vandenburgh, Associate Professor in the Department of Pathology and Lab Medicine at Brown University. The work was supported by funding from the National Institutes of Health, the National Science Foundation’s Materials Research Science and Engineering Center at Harvard University, a Fulbright International Science and Technology Award and the Wyss Institute Director’s Cross-Platform Challenge Award.